Deathscribe 11 Director - "The Forbidden Room"
Ms. Guest boldly made Chicago home five years ago. Recently seen in the cast of Fly Honeys and Remy Bumppo’s Frankenstein. She’s worked with Interrobang Theatre and Jackalope Theatre companies as Assistant Director. 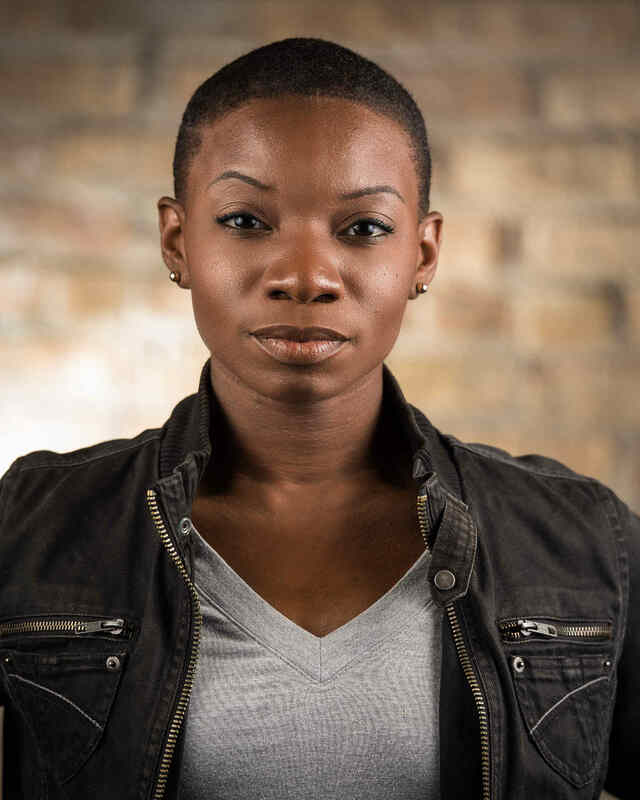 She’s an active performer in the Chicago area and has been seen in a number of shows including Redlined, Have a Great Summer, Incendium with formerly Chicago Slam Works. Other credits include columbinus (Adult Track) with The Yard Theatre Company, I Saw Myself (Ladder) at Red Tape Theatre, The Wiz (Addeperle U/S, Dance Captain), Octagon (Asst. Director and watcher named pen U/S), The Adventures of Robin Hood (Robin Hood), Piece of My Heart (Steele) Strong Women (Woman Two), Rhinoceros (Boss of Cafe/ Fireman), Once on This Island (Peasant/Storyteller), Children of Eden (Storyteller), and for colored girls (Lady in Blue). She is proudly represented by Shirley Hamilton Talent!